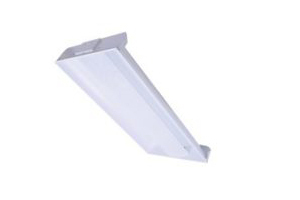 The L-DID-24-40W-44 is a linear LED recessed direct/ indirect lighting fixture with an attractive center basket designed for commercial, industrial, and retail environments. Rated at 40-watt power consumption, the fixture provides highly efficient lighting with extreme power saving capabilities. The fixture profile features a white polycarbonate diffuser to provide a higher lumen, soft, balanced illumination for a contemporary appearance and comfortable, low glare light.